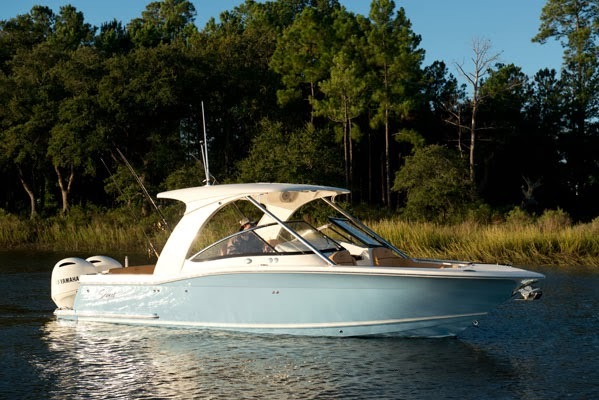 A hard-working executive from a small but fast growing technology company recently contacted the boat name blog looking for help naming his new boat. While not his first boat, this would be the man's "first boat big enough to bother naming". The boat is a 275 Dorado, a family-friendly coastal fishing vessel, and will be kept in Rhode Island. The new boat owner asked that we come up with a boat name related to computer software. First, we looked at the yacht names of some famous technology tycoons to see if we could come up with anything, but most of them had nothing to do with software. For example, Larry Ellison, founder of Oracle Software (and owner of the America's Cup championship team), owns a very large yacht named Musashi, named after a samurai. Paul Allen, of Microsoft, owns a yacht named "Octopus". Steve Jobs had a boat being built before he passed away, and the yacht's name was "Venus". Even one of the Google co-founders, Larry Page, recently purchased a yacht and named her "Senses". You see, none of the yacht owning software moguls had boat names that hinted at their profession, so this was going to be a challenge.